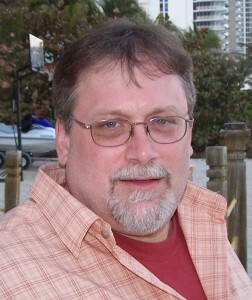 Charles R. Dorotics, 48, of Warren, PA, died unexpectedly Thursday, December 8, 2011 at Warren General Hospital. Born November 6, 1963 to the late Charles B. and Nancy M. Papalia Dorotics, he lived most of his life in Warren. Following his 1982 graduation from Warren High School he lived in Colonial Heights, Virginia where he was a Union Sheetmetal Worker in the Richmond, VA and Washington, D.C. areas. He was currently employed with Cambridge Warren in the maintenance department. Chuck attended St. Joseph R.C. Church. He is survived by his sister – Cindy Mascaro and her husband Steve, of Warren; a nephew – Brooks Rossman, of Erie, PA; a niece – Jenna Weldon and her husband Charlie, of Coral Springs, FL; one aunt, one uncle and several cousins. My family is so sorry for your loss. My brother and I will always remember the fun times we had with him, as kids, running around the west-end. You are in our thoughts and prayers. I am so sorry to hear about Chuck’s passing. I can’t imagine your sorrow in losing him. I’m so grateful to have shared some time with him and your family last year. Sorry to hear that Chuck has passed. We had some good times in High School. Our thoughts and prayers are with you and your family. I am so very sorry for your loss. Hold on to your happy memories and they will help get you through all of this. You are in my thoughts and my prayers. Take care. I didn’t realize that when we were chatting the other day that it would be the last time! God’s Speed, Charley! I are so sorry about Charlie. I have so many childhood memories of “Chuckie”. May God help you find peace in this difficult time. I am very Sad for your Lose Chuck was a good Man & will be Missed by all who’s lives he touched my Deepest Sympathies too his Family & Loved one’s ! We are so sorry for your loss. Let your memories of the times you all spent together live on in your hearts. How sad, sorry to hear it! My condolences to the family!